You are here: Home / Bring the Heat Blog / What’s A Good Chili Flakes Substitute? Chili flakes, a.k.a. 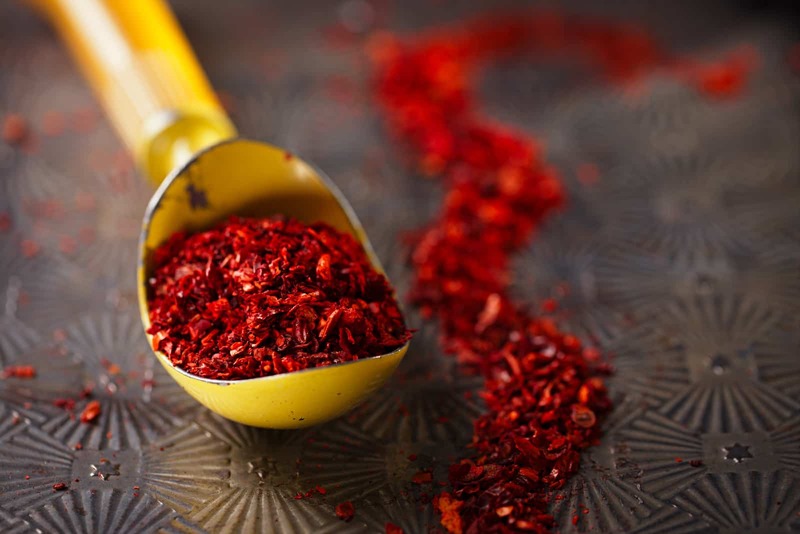 red pepper flakes or crushed red pepper, are a kitchen spice rack staple. But just like any spice, you can run out at the most in-opportune time. Where do you turn when you need a chili flakes substitute in a pinch? We lay out the best options below. You’re bound to have one of these alternatives sitting around the cupboard. Note: for all of the options, a 1:1 amount substitution is not recommended. Opt for under-spicing, and then spice to taste. These are the chili flake alternatives that will keep your food consistency, flavor, and heat the most intact based on the recipe’s intent. If you have a reasonably well-stocked spice rack, you likely have a bottle of generic chili powder among the options. 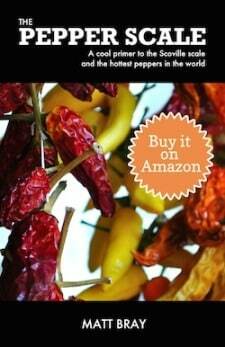 Chili powder, like chili flakes, is a mix of different types of dried hot peppers. 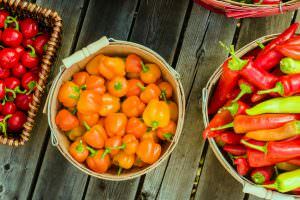 But whereas the reasonably spicy cayenne pepper is a staple in red pepper flakes, chili powders often use peppers well down the Scoville scale as a base. You might not get the same amount of spice, so prepare to add a few more dashes. If you happen to have the choice between generic chili powder and cayenne powder, opt for the latter. 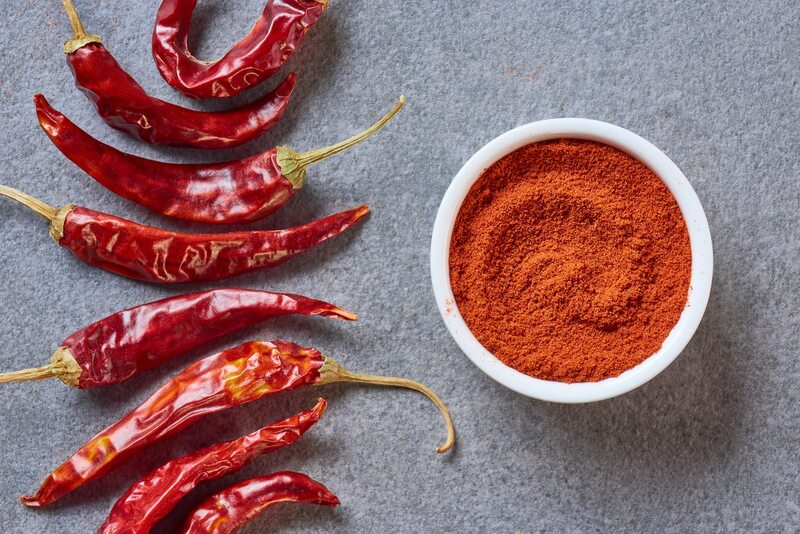 Cayenne powder is not cut with other chilies, so the heat will be more akin to the typically cayenne-based red pepper flakes. It’s especially important here not to use a 1:1 ratio during the substitution, you can easily overheat your dish due to the density differences between flakes and powder. Do you happen to have dried chilies around in whole pod form? Pull out that mortar and pestle and crush them down to flakes. Really any dried hot pepper will do, but the medium-heat of chile de àrbol is a very good match for the heat in your typical jar of red pepper flakes. If you don’t have the primary substitutions available, the options below can work. 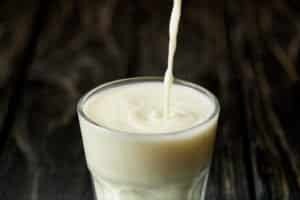 But note, they can change the overall flavor and heat of a dish, often significantly if overused. Consider these the “no other choice” alternatives. 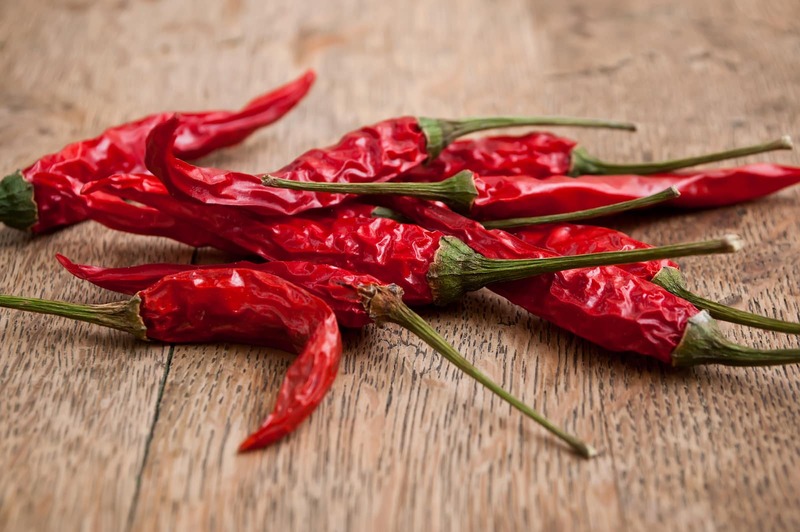 Heat levels can vary wildly with chili paste, so read the label carefully. It may be a mild chili base, and in that case additional paste will need to be used. There are also some wildly hot chili pastes out there that use Thai chilies which are easily double the heat of cayenne. There’s also the consistency to consider. You are adding a paste which can alter the overall recipe. Because of that, this is a better option for spicy soups, stews, and sauces where the paste can dilute. 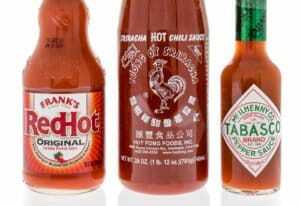 Like chili paste, there’s a wide span of heat in hot sauces, so proceed carefully. 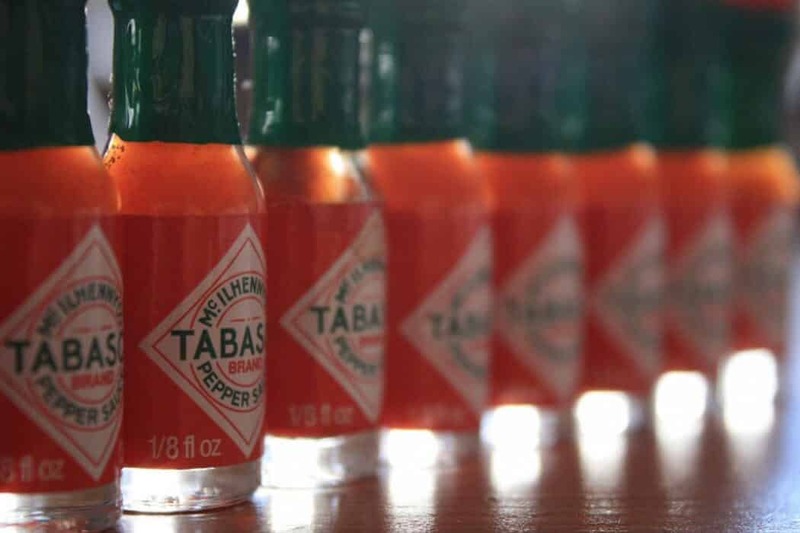 A few drops is often enough to supply the same level of heat as a teaspoon of red pepper flakes. There’s also a wide variety of flavors here, too, from tangy Cajun hot sauces to tropical hot sauces that use fruit. These can quickly alter the overall flavor of the dish. The best option is to stick with a basic hot sauce here. In terms of similar heat, we recommend a few dashes of Sriracha. It’s a tasty basic hot sauce that won’t greatly impact your dish’s overall flavor. What's A Good Hot Sauce Substitute?